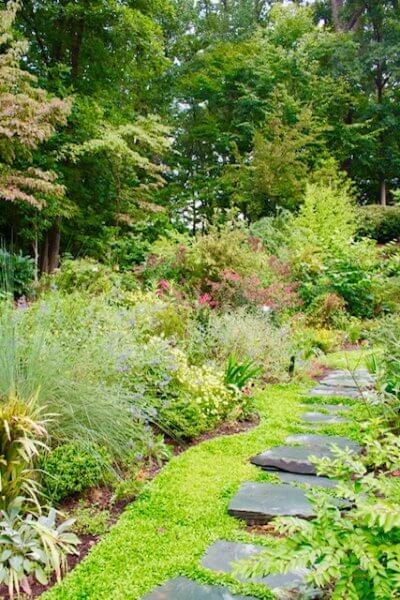 Choosing the right plants for your property is key in producing a strong, healthy and vibrant landscape. Following are a few tips to help you choose the just right plants for your lawn and landscape in Northern Virginia. The most important tip is to choose a plant that you will enjoy watching develop and blends with the other plants and trees already established on your property. If you are starting with a blank slate, then you get to determine the complete picture which is an exciting endeavor. Meeting with a professional to help design and install your landscape projects is always recommended for best results. Choosing plants that suit your property is essential. The condition of your lawn plays a part in the development and survival of the plants and trees you choose to install. What is the PH of your soil? Is it acidic or alkaline? A great choice for alkaline soil is the Arrowwood Viburnum (Viburnum dentatum), an evergreen that can be used as a hedge and grows up to 10 feet tall. The drainage variables on your property is also something to consider. A plant may survive in one area, but not in another due standing water. For example, Rhododendrons do not survive well in standing water and 75% do not survive due to excessive water. Rhododendrons do not have taproots and have a very shallow root system which therefore, requires frequent watering. Seasonal weather conditions are also something to consider in determining plant suitability. Native Plants are going to be hardy, healthy and grow well for the most part in your yard. 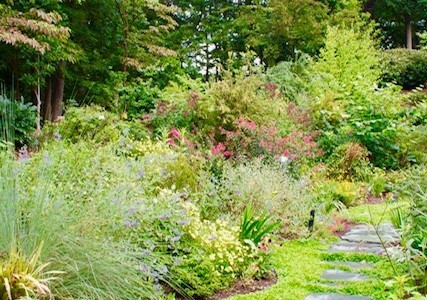 Please read our blog from March, 2019 which goes into detail about the benefits of choosing Native Plants for your landscape. How to your plant your newly purchased material is just as important as choosing the correct plants for your property. Planting in Northern Virginia can be tricky with the weather and it is always advised to contact a professional for best results. Maintenance of your newly installed plant will be critical to the continued health and growth. It would be advisable to consider a yearly shrub fertilizer program to help support your plants and trees. In addition, supporting the health of your plants includes regular maintenance with trimming, pruning, raking and clearing of beds of debris. Beds should also be mulched each spring and fall season with a quality mulch product. O’Grady’s Landscape & Lawn Care, Inc. is a full-service lawn and landscape company serving residents in the Northern Virginia area since 1991. Our team of professionals are quality trained in choosing, installing and maintaining plant materials. Our designers have over 20 years of experience and would gladly meet with you for a free consultation, 703-533-5001, [email protected].